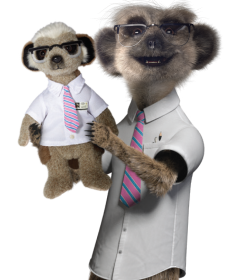 Insurance comparison website comparethemarket.com.au has brought back its well-known meerkats Aleksandr and Sergei as part of a new giveaway campaign for those on the hunt for health insurance. Aussies who take out health insurance through comparethemarket.com.au between 15 May and 30 June will have the option to claim their favourite meerkat as a toy. Aleksandr and his toy version. The meerkats have garnered a strong following internationally, with Aleksandr’s famous catchphrase ‘simples’ – a term used to convey that something is very straightforward – is now so well known that it has been added to the Oxford Dictionary. Sergei and his toy version. In the UK, a meerkat toy was distributed by comparethemarket.com.au’s counterpart every 30 seconds in the last two years. This took Aleksandr’s UK business to second place on the children’s toys chart. Aleksandr and Sergei are proving to be equally as popular in Australia. There were 96,555 positive reactions to the toy giveaway on social media, where Australians liked, shared and commented on the meerkat toys via Facebook. 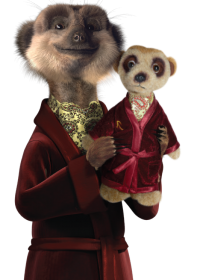 So far, Aleksandr has proved slightly more popular than Sergei, claiming 58 per cent of total toys handed out in February and March this year. Furthermore, 97 per cent of customers chose to claim a meerkat toy for the last giveaway.